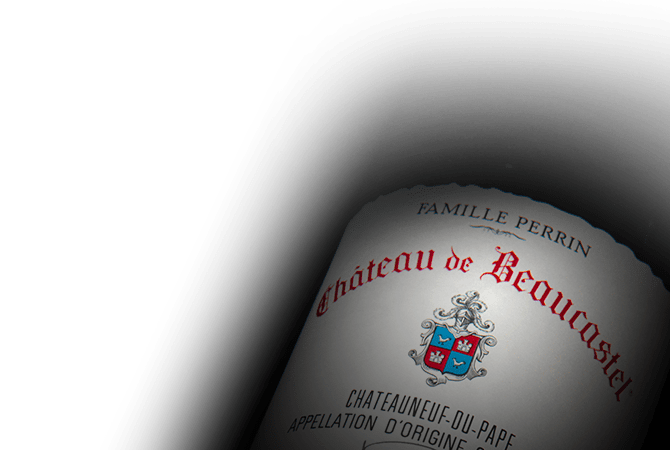 Chateau Beaucastel has a long and rich history in the Rhone Valley dating to the mid-16th century, when a certain "Noble Pierre de Beaucastel" purchased plots of vines near the town of Courthézon. Since 1909 the Chateau has been owned and expertly managed by the Perrin family. Three quarters of Chateau Beaucastel's 100 hectares of vines are located in the Chateauneuf-du-Pape and are a blend of predominately Grenache, Syrah, Counoise and Cinsault. If one word could describe the red wines of Beaucastel it must be "pure": pure because they are the exact expression of the land and the grapes from which they come.